How Should Nonmilitary Celebrate Veterans Days? 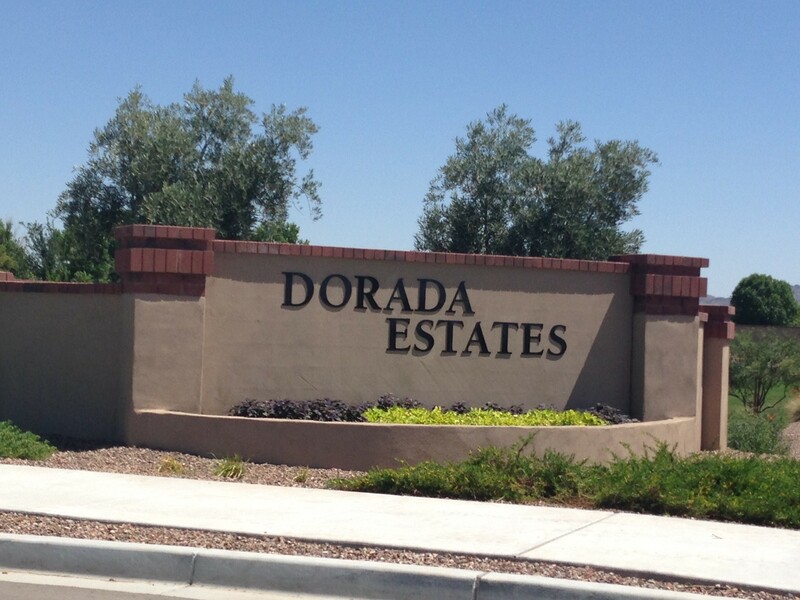 Dorada Estates is a new community the corner of Recker Rd and Ocotillo in Queen Creek at next to the southeast border of Gilbert. 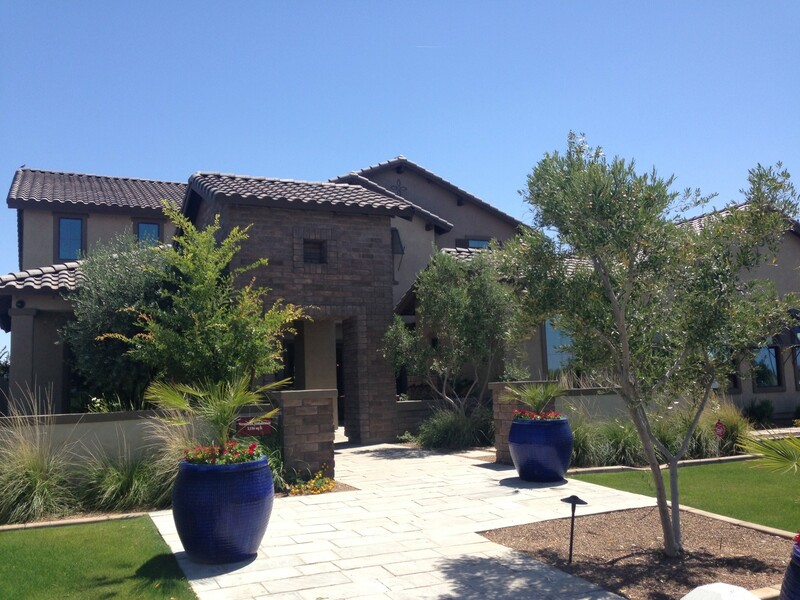 This community is a luxury neighborhood featuring 20,000 sq ft lot sites (approx .46 of an acre lot). Dorada Estates is not too far away from San Tan Village, restaurants, entertainment and all the conveniences you want while being far enough away to have the privacy and space you desire. Dorada Estates features open floor plans from 3.461 sq ft to 6,668 sq ft with Spanish, Andalusian, and Craftsman architectural choices and some homes with a basement option. They have a central park with playground, ramada, walking paths, and a half basketball court to enjoy outdoor family time and fitness options. 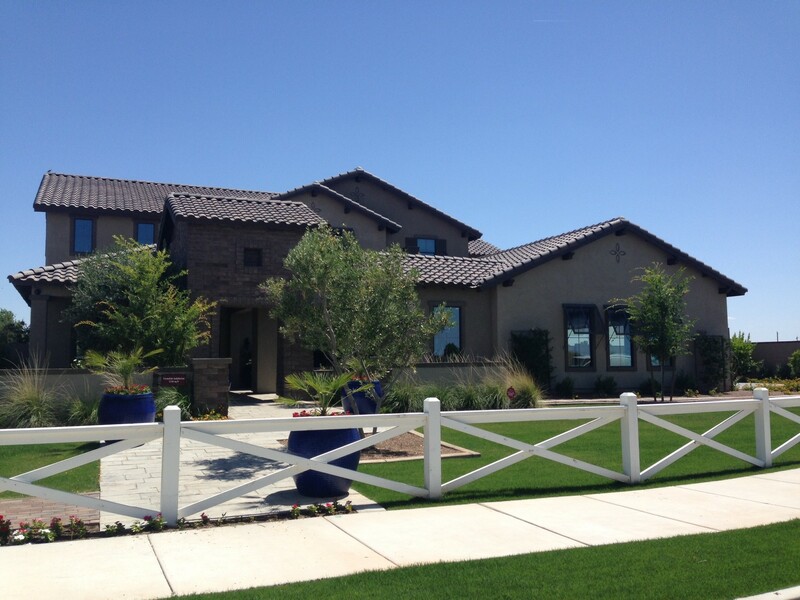 Chandler Unified schools make this a great home and community for your family. To top it off, they’re Energy Star Version 3 certified which helps conserve the environment and save money. 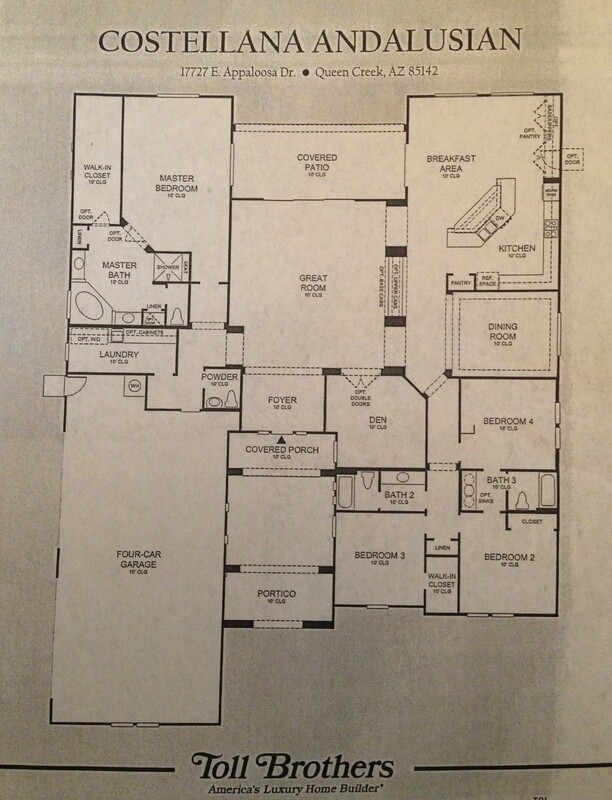 Below is an example of their smallest floor plans, the Costellana with an Andalusian elevation. If you would like to see more floor plans or learn more about buying a home in a new community, don’t hesitate to contact me.